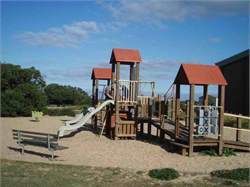 Golden Beach is surrounded by the splendor of the GippsIand Lakes Coastal Park. 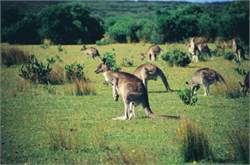 It is renowned for surfing and its excellent surf and offshore fishing, especially from the man-made reef at Delroy Beach. 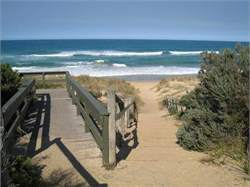 Golden Beach also forms part of the renowned Ninety Mile Beach. The wreck of the Trinculo may be seen at its best after a king tide removes large amounts of sand temporarily. It is 6.4 kilometres from the roundabout at Golden Beach going towards Seaspray. Bird life is prolific all along the coastal parks and includes Crimson and Eastern Rosellas, Yellow Tailed Black Cockatoo, Swamp Harriers, Hawks, Blue Wrens, Silver Eyes, Red Browed Finch, Eastern Spine Bill and many other honey eaters. The Rainbow Lorikeet would normally fly north for the winter but it remains along the beach coastal parks area all year - attracted by the temperate climate and the plentiful coastal banksia. Easter is Family Fun Time at Golden Beach. 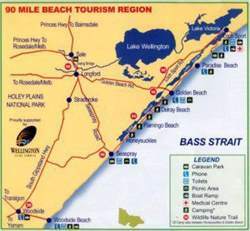 We host one of the longest running Surf Fishing Competitions in Australia, now in its 61st year. Runs from Good Friday to Easter Sunday.